"Why Would I Choose An Amphenol Product?" Amphenol remains committed to leading the industry into the next generation of interconnect solutions. It is a company that is very capable of handling your needs. For nearly a century, Amphenol Aerospace has been the leader in advanced innovative designs for the military/aerospace markets. Their multiple teams of designers have planned and created Mil Spec Interconnects you have more than likely heard of, such as MS 5015, 26482, and D38999. If you had any doubt regarding their credentials, here's a fun fact: Amphenol's team has also developed the B3 contact technology that has been the backbone for the F-22 and F-35 Avionic systems and Space Station connectors, which are used to supply power and data on the International Space Station. Pretty impressive. "Where Is Amphenol Headed In The Future?" Regarding the next milestones in the industry of Interconnect Solutions - Amphenol will definitely be there, probably leading the industry. They always have and will continue to invest in important tools like Pro-Engineering and SpaceClaim for solid modeling and 3D printers that bring these models to life. Mechanical and stress analysis is performed with Pro Mechanica and their team of Signal Integrity Engineers analyze full-wave, three dimensional and electromagnetic for high speed interconnects using CTS Microwave Studio. Following design completion, their engineering model shop can build physical prototypes for on-going Amphenol Testing purposes. 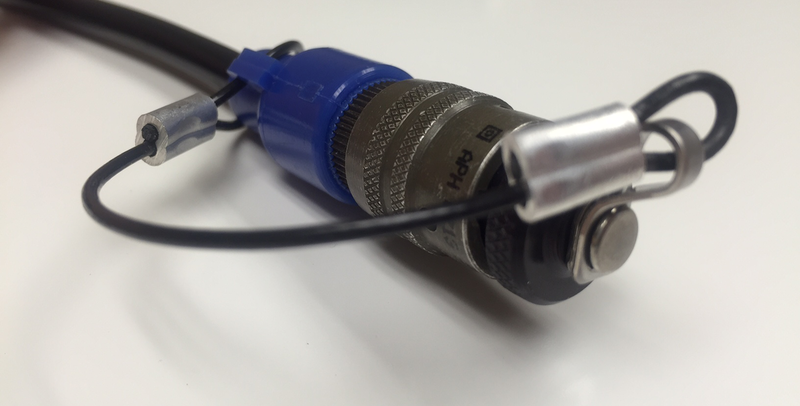 3-Ci installs these connectors on your molded cable assemblies or harnesses. Amphenol Testing is also quite impressive. If you are here in Calgary or Edmonton, Alberta, or anywhere else in Canada or the United States and have any questions at all, or would like us to set you up with everything you need for Amphenol Military Spec Connectors D38999, 5015, or 26482, you can either call us at 1.403.250.2271 or fill in your information and message in the form on this page and we will be sure to get back to you as soon as possible!